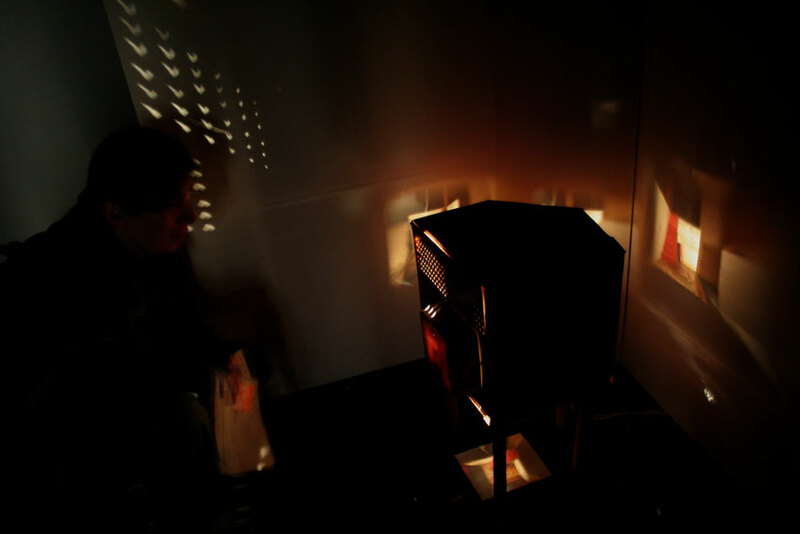 Projector made of wood, 4 magnifiers and moving model, Art fair of Bogotá, October 2008. 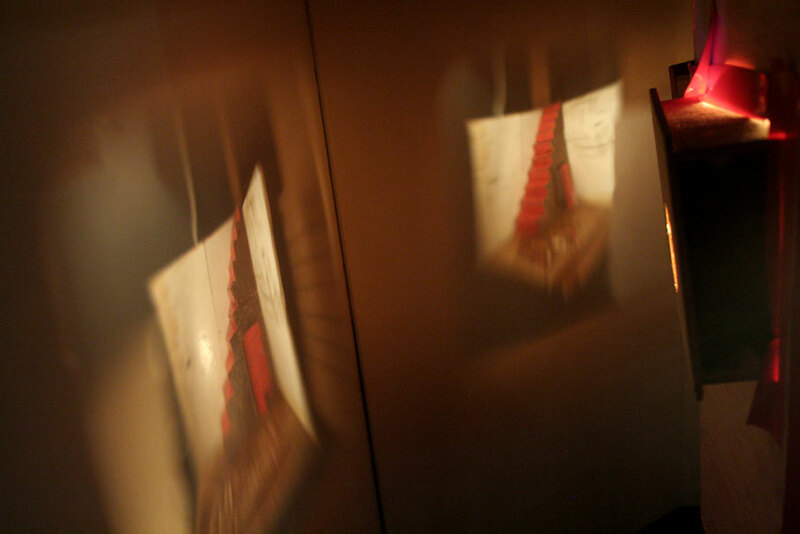 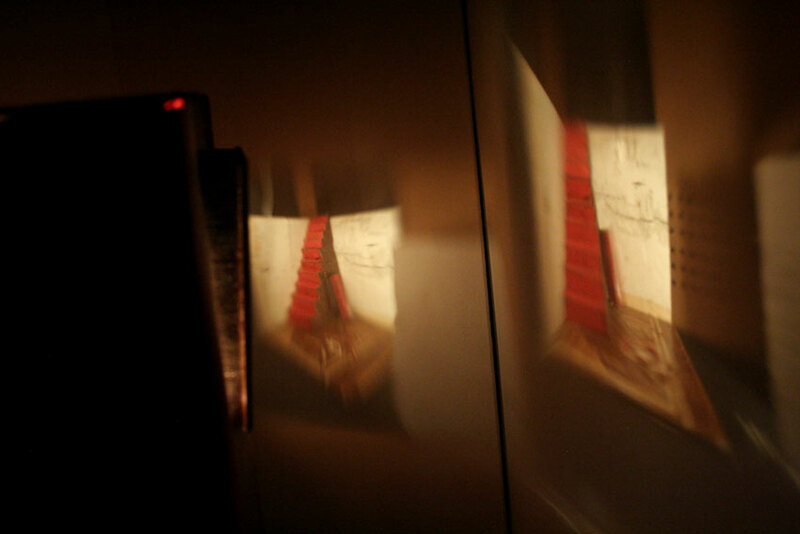 It is a project similar to chambers, I make projected images with the concept of lantern magic. 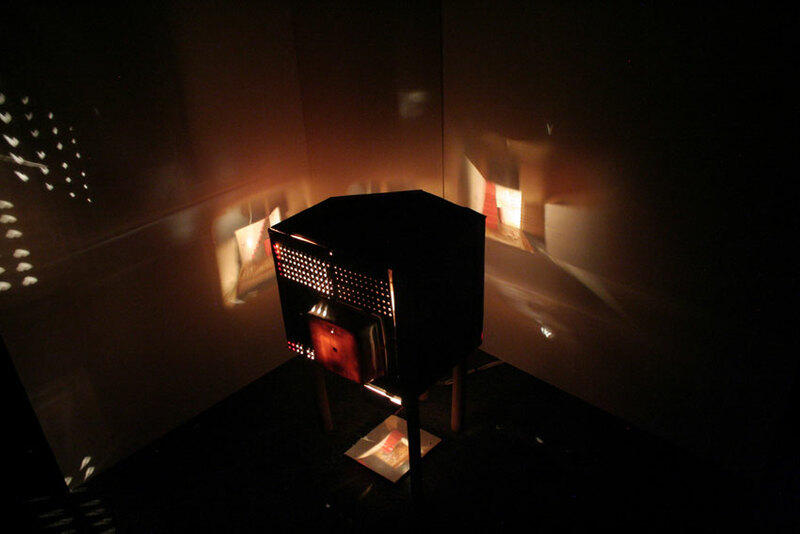 In this case I construct a moving model inside a handmade projector with 4 magnifiers that projects images of the model in different perspectives.